Sanctions imposed on Iran over its nuclear program are lifted following confirmation of Tehran’s commitment to​ the Joint Comprehensive Plan of Action by the International Atomic Energy Agency. 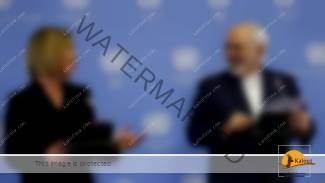 European Union foreign policy chief Federica Mogherini and Iranian Foreign Minister Mohammad Javad Zarif made the announcement during a joint press conference in Vienna on Saturday, January 16 2016. Mogherini read out a statement in English which was subsequently read out by Zarif in Persian. “This achievement clearly demonstrates that with political will, perseverance, and through multilateral diplomacy, we can solve the most difficult issues and find practical solutions that are effectively implemented,” it added. Iranian Ambassador to the IAEA Reza Najafi announced that Amano would be traveling to Iran to meet Rouhani, Head of the Atomic Energy Organization of Iran (AEOI) Ali Akbar Salehi, and other officials on Sunday, January 17 2016. “Today marks the moment that the Iran nuclear agreement transitions from an ambitious set of promises on paper to measurable action in progress,” said US Secretary of State John Kerry after the announcement. Meanwhile, US President Barack Obama signed an executive order for the removal of sanctions on Iran, the White House announced. Leading US Democratic presidential candidate Hillary Clinton praised Obama for implementing the nuclear agreement, yet claiming that concerns still remain.